Don't have time to run in this race? Try the virtual race option and earn your medal. Run anywhere at any time on race weekend. Do you have a New Year's Resolution? Is it to be more active in 2018? 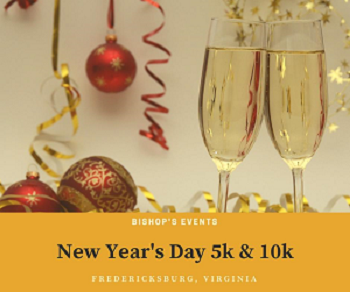 This 5k/10k will run alongside the Rappahannock River in historic Fredericksburg will be a great race to look for a PR or just to have fun and give back to a great charity. Now offering a virtual run option for those who cannot make it on race day. You will receive a medal as part of the virtual run option. T-shirts guaranteed to runners registered before December 19. We will order extra t-shirts for those who register after that date, but it is on a first-come first-served basis.